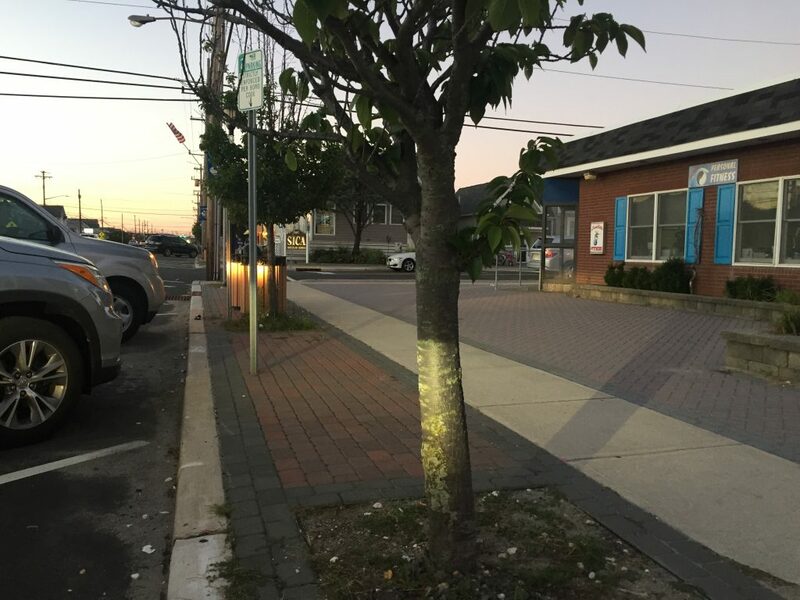 A beautification project along several streets in Lavallette’s business district has led to the installation of colorful pavers in sidewalks, trees and aesthetically-pleasing street lights – and officials say they want to expand it to several more streets. The previous portion of the project, paid for by the state Department of Transportation’s roadway enhance fund, runs for several blocks in the central portion of the business district. Recently, Mayor Walter LaCicero said, the borough was informed that the state is again accepting applications for the program. “I would like to look at four, double-sided blocks or eight single-sided blocks,” said Council President Anita Zalom. Borough Administrator John Bennett will be tasked with choosing the streets that will be part of Lavallette’s application to the state. In some cases, private businesses have continued the project on their own, including businesses between Vance and Magee avenues, and in front of the Rite Aid pharmacy store. “We should probably fill in first, then go in both directions,” said Councilwoman Joanne Filippone. LaCicero said the borough engineer will assist with the project and the application. The funding of the project will likely be tied to the outcome of a dispute between Gov. Chris Christie, and Republicans and Democrats in the state legislature with regard to a proposed gas tax increase that would fund the cash-strapped Transportation Trust Fund.